We are engaged in the manufacturing of highly advanced UV Sensor in the market. These UV Sensors are designed using highly sensitive electronic UV tubes that are specially tuned to detect the radiations that are emitted by naked flames. Ultraviolet Sensor are designed to detect uv radiations emitted by a naked flame. Immune to visible light and refractory glow from furnace walls. Linear systems design include protective quartz glass cover. ¾ NPT and BSW mounting with optional air cooling. New model self-checking UV sensor. These systems are known for effectively detecting UV radiation released by the open flames of many types of burners such as gas, coal and oil fired burners. 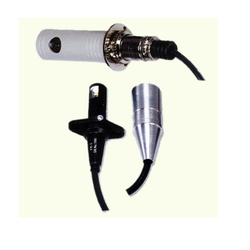 We utilize very sensitive electronic UV tube to design UV flame sensors. The Incorporated UV tube is specifically tuned to identify radiations released by open flame. Manufactured Sensor is highly sensitive to standard light and refractory glow in the furnace walls. These systems detect UV radiations emitted by the naked flames by gas, coal and oil fired burners. Our UV sensors are renowned for detecting all types of flames generated from gas, oil fired burners in furnaces and Boiler. Models: UV -01, UV -01-AJ etc. Looking for UV Sensor ?